Why are Liberal Economists Outraged by Putin Advisor's Reform Proposals? On Tuesday, economist Sergei Glazyev will submit a report to Russia's Security Council, offering his vision on how the country can overcome the effects of Western sanctions and return to economic growth. Last week, Glazyev's proposals leaked to the press, leading to a firestorm of criticism from Russia's liberal economists. Sputnik finds out why. Sergei Glazyev, a Russian Ukrainian economist, politician, and specialist on the Eurasian Economic Union, will present his report to the Russian Security Council, a consultative body reporting to the Russian president charged with working out decisions on issues of national security, this Tuesday. His report, leaked to Russian business newspaper Kommersant last week, features a number of controversial, unconventional and decidedly anti-liberal proposals for dealing with the effects of Western sanctions, stabilizing the course of the ruble, and restoring economic growth. The plan proposes a five-year 'road map' to Russia's economic sovereignty and long-term growth, and is ostensibly aimed at helping the country to avoid the 'stagflation trap' of economic stagnation and growing inflation. The plan is presented as being aimed toward building up the country's immunity to external shocks and foreign influence, and ultimately, toward bringing Russia out of the periphery and into the core of the global economic system. The plan's ambitious goals include raising industrial output by 30-35 percent over a five year period, creating a socially-oriented 'knowledge economy' via the transfer of substantial economic resources to education, health care and the social sphere, the creation of instruments aimed at increasing savings as a percent of GDP, and a number of other initiatives, including a program aimed at transitioning to a sovereign monetary policy. 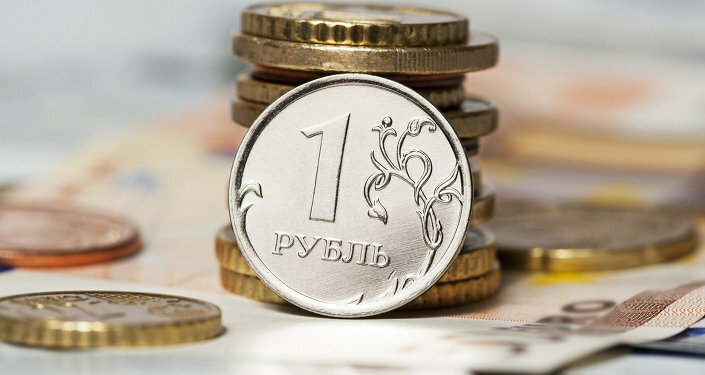 A section of the report on "stabilizing the ruble's exchange rate, the termination of capital flight and the de-dollarization of the economy" offers yet more controversial suggestions, proposing that the state "stop the speculative vortex" in the currency market via what effectively amounts to the introduction of capital controls, something which Russia's leadership has vehemently resisted even considering. The proposed measures include restrictions on companies' purchase of foreign currency for reasons other than transactions with foreign entities, along with a "temporary tax" on conversation operations, as well as restrictions on companies' export of capital, requiring firms to offer "reasoned justifications" for their activities in the transfer of capital abroad. Another decidedly anti-liberal and arguably even anti-free market proposal in Glazyev's report is a section devoted to the "stabilization of prices," proposing a temporary freeze on prices for a basic basket of consumer goods, a 25 percent profit cap between producer and retail prices, as well as measures to stabilize the price of goods and services provided by state-controlled monopolies. The economist also proposes revoking the return of the VAT on the export of raw materials and resources to state companies, ostensibly aimed at stimulating the export of processed goods. A section of the report on "the neutralization of the effects of anti-Russian sanctions" proposes converting the reserves of the Russian Central Bank, the Reserve Fund and the National Welfare Fund into gold and BRICS countries bonds, along with the creation of a new regional and international system of settlements in national currencies independent of the dollar. One proposal in particular from this section which caught the ire of critics was the suggestion that Russian companies be permitted to use force majeure to free themselves of obligations related to loan agreements provided in countries which have imposed financial sanctions against Russia. The program is capped by a proposal to create a State Committee on Strategic Planning Under the President of the Russian Federation (GKSP), together with a State Committee for Scientific and Technological Development (GKNTR), ostensibly modeled on a system created in Iran during the 1990s following the introduction of Western sanctions on that country. Upon leaking, Glazyev's proposal was hit with a wave of criticism from representatives of the liberal wing of Russia's economic policy elite, from the 'old guard' of market reformers such as Yevegni Yashin and Andrei Nechayev, to the new generation, including Konstantin Sonin, former Vice Rector of Moscow's Higher School of Economics. Observers criticized the economist's proposals for being an attempt to return the country to the Soviet model of development, with others saying that the program amounted to a proposal to turn the economy into one-part Argentina, one-part North Korea. An recent op-ed in liberal English-language newspaper The Moscow Times slammed Glazyev's plan, saying that it amounted to "a compendium of lazy, irrational thinking that, were it ever put into practice, would quickly set Russia on a road to economic apocalypse." And while 'shadow CIA' think tank Stratfor went on to suggest that Glazyev's plan meant that "the Kremlin is planning for the worst –the severing of ties with the West," the reality appears to be that the economist's ideas are being considered by the Russian government only as food for thought. Presidential press secretary Dmitri Peskov responded to the plan by pointing out that Glazyev's proposals "are treated as the point of view of an expert," adding that his views are far from always being "an expression of the official position of the president or the presidential administration." So far, Glazyev's plan has merely stepped on some toes within Russia's economic policy establishment. Were it to be taken into serious consideration, it would doubtlessly come to threaten long-established economic and political interests, both in Russia and abroad, serving as a Pandora's box which the Russian leadership does not seem eager to open.